A fire has extensively damaged the supermarket section of the Templecrone Co-operative in Dungloe, Co Donegal. It has been established that the cause of the fire was electrical. The blaze was noticed by a garda on duty in the main street in Dungloe at 1.30am and the local fire brigade was on the scene within eight minutes. 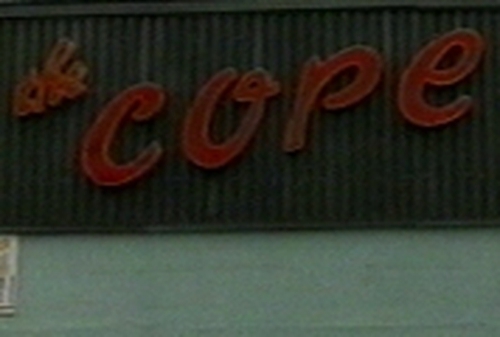 Templecrone Co-op, which is known locally as 'The Cope', celebrates its centenary this year. The centenary was marked by a commemorative stamp issued by An Post in January depicting the founder of the Co-op, Paddy ‘The Cope’ Gallagher, grandfather of Minister of State Pat ‘The Cope’ Gallagher. The full extent of the damage will not be known until a forensic examination of the scene is complete. However, it appears that the other departments at the co-operative were not affected.